Timeline for Tobacco production in the N.E. Held on the Labour Day weekend in March each year, the Myrtleford festival celebrates the life and culture of the district over three busy days. 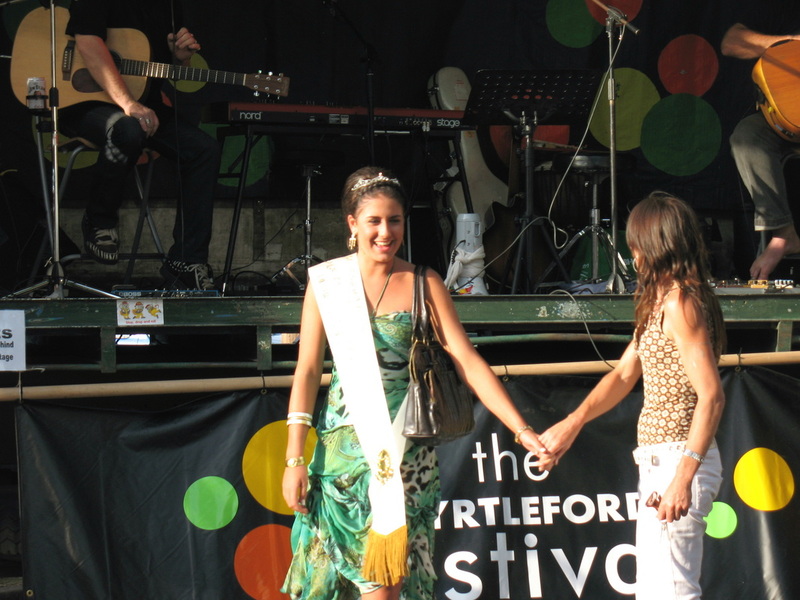 This photograph shows the 2007 Princess in front of one of the live entertainment acts. Click on the Myrtleford Festival link to go to its Website if you need further information.